Discussion in 'Disney Pin Discussion' started by Emma Goldband, Feb 11, 2019. 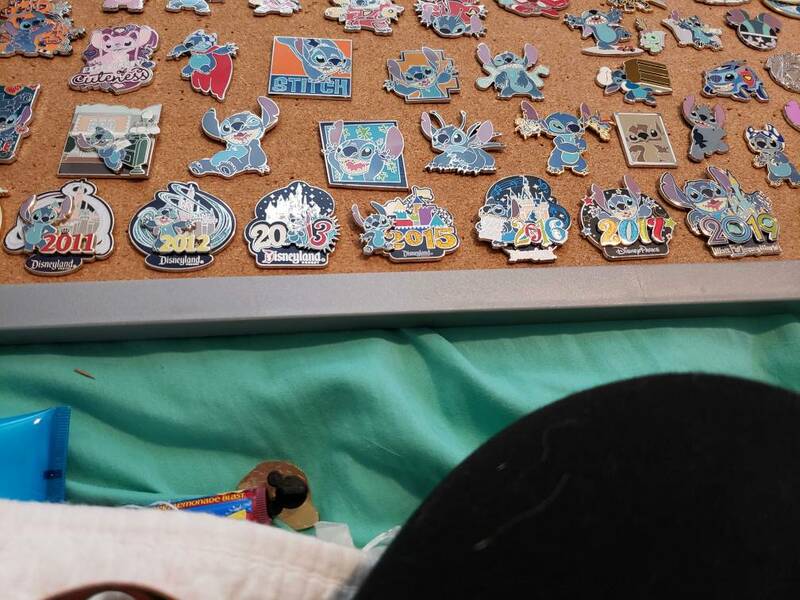 I have been trying to see if there are pins like in the picture I'm showing for the years I am missing, specifically stitch pins as that's all I collect. I have tried to do some research but thought I would reach out to see if anyone knows. Thanks in advance. I'm missing 2014, 2018, and any years before 2011. Have you tried searching on PinPics? Hmmm... the ones you show look like the ones I am aware of. I believe the characters are a bit random on the annual 'year' pins, and while Stitch is probably one of the most common (right up there with the fab 5), I am sure he is skipped every once in a while. Pinpics would be your best resource though. I had never heard of pinpics! Thank you. What is a trusted website to buy pins ? If you are talking about previously released pins (esp. dated & no longer sold by Disney), then try here in the Sales and Trades sections. The style reminds me of the dated pins that come out at the end of the year for the next year. Sometimes they are sold in a booster pack, mystery boxes, or individually. I think the tourists usually buy as souvenirs during their holiday trip to the park. As Mickeymouserules mentioned, I also don't think he's yearly. Best of luck on your search. These stitch yearly pins has been made since at least 2005. One every year. So you are right. I know there are for all years 2005 and forward. The only year Im not sure about is 2014 because Ive never seen one. I used to have a few of these but unfortunally Ive traded them all away. Good luch in finding the ones you are looking for. I searched on Pinpics using Stitch and the individual year. Since you said you weren't aware of Pinpics, you should also know it can be used for trading! Our forum also has a list of traders from pinpics that our members have had successful trades with.